IAMS Pro-Active Health Daily Treats, 2.47 oz Feed as a snack or treat in conjunction with your cats regular diet. As with any treat, adjust amount of main meal to compensate for calories delivered by treats. 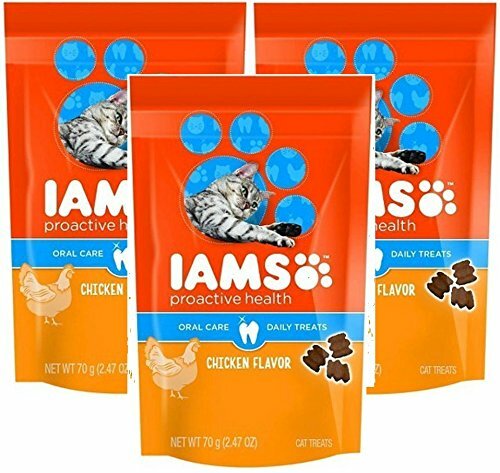 If fed as a main meal, 1/4 cup of Iams ProActive Health Oral Chicken Flavor Treats for Cats can replace 1/4 cup of Iams ProActive Health Adult Original with Chicken cat food. Provide fresh drinking water at all times.